Music K-8 magazine, the resource magazine for elementary and middle school music teachers, is published bi-monthly, five times during the school year. Volume 29 begins with the September/October 2018 issue and ends with the May/June 2019 issue. 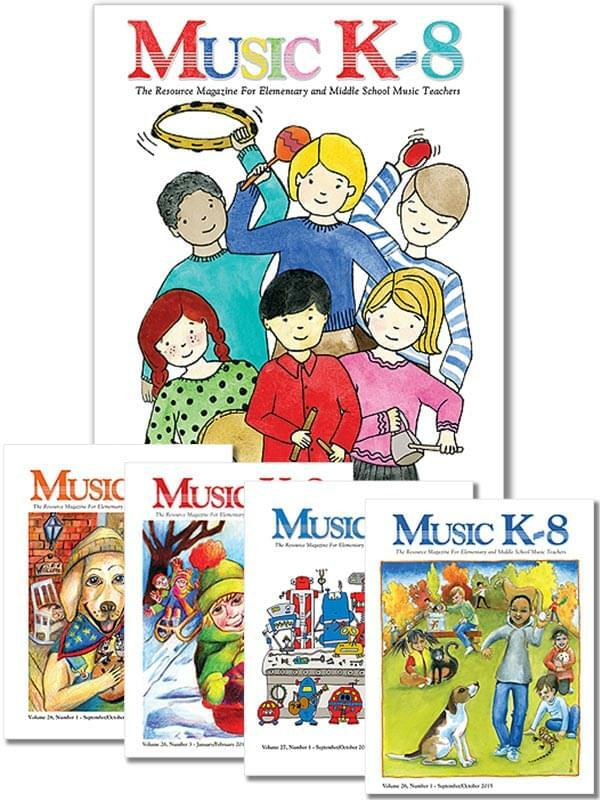 Music K-8 is now also available in downloadable editions. Downloadable subscriptions include all the tracks that are on the CD, but in MP3 format, plus the printable PDF of the magazine. The full combo options give you the best of both worlds: a physical and downloadable copy of the magazine components. The mixed combo includes the physical magazine and downloadable audio files in MP3 format. You never miss an issue. If you subscribe later in the year, you receive any back issues all at once. No shipping charges: subscription prices include all shipping & handling. You will access your downloadable Music K-8 components from your online account, so please log in before checkout. An account will be created for you automatically, if you do not have one. Access downloads through your account after each issue becomes available.